What was once considered something that can only happen in a science fiction novel is now a very real possibility: the complete shutdown of our entire electrical grid. Power grid failures are nothing new; in fact, during the winter of 1965 the United States experienced one of the worst power outages in its history. Over 30 million people from seven northeastern states and the province of Ontario in Canada were plunged into darkness when maintenance workers mistakenly tripped a safety relay. Almost forty years later, the same area was hit by the great Northeast blackout of 2003, where over 55 million people experienced power outages as a result of a software bug. While most power outages are caused by storms or utility company mistakes, a growing number of these outages are being blamed on everything from our deteriorating electrical infrastructure to terrorists and hackers. Over the last couple of decades, power outages have affected just about every American. 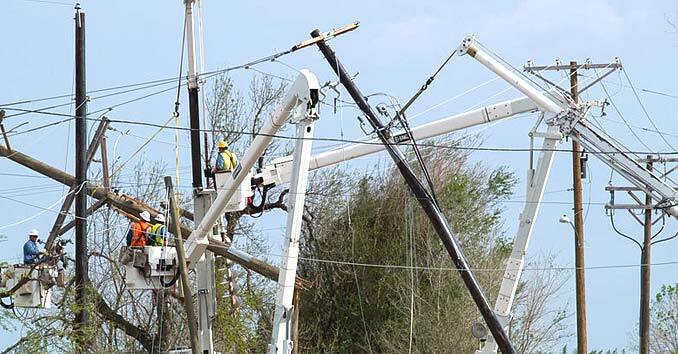 These outages cause the average U.S. electrical utility customer to go without power for an estimated 214 minutes every year, costing the U.S. economy up to an estimated $55 billion annually. January 1981: Almost the entire state of Utah goes dark after prisoners on a work assignment accidentally knocked out transmission lines. 1.5 million people, in nearly all of Utah, as well as parts of southeastern Idaho and southwestern Wyoming lost power. October 1989: The Loma Prieta earthquake knocked out power to over 1.4 million people in Northern California due to damaged electrical substations. January 1998: Over 3.5 million people were affected by blackouts that hit northeastern North America when ice destroyed transmission towers. 2000-2001: The Western U.S. Energy Crisis of 2000 and 2001 hit California causing rolling blackouts that lasted for over 12 months. 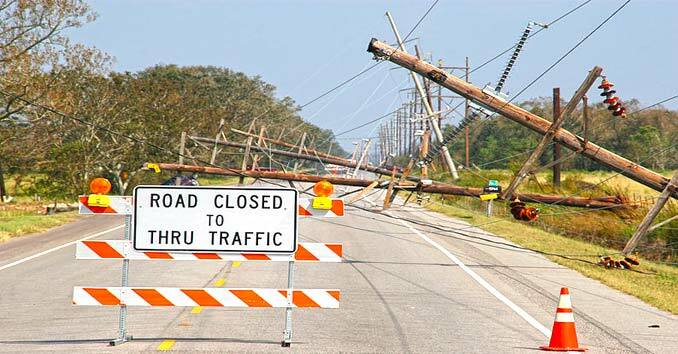 August 2003: Power line problems in the Midwest triggered the worst blackout in U.S. history, cutting power to 55 million people in eight states and Canada, some for more than a day. September 2011: Days before the tenth anniversary of 9/11, the largest Blackout in California history left nearly seven million people without power, in what many believe was an act of Terrorism. No official cause has ever been given. 2012: Hurricane Sandy and the Mid-Atlantic storms of 2012 leave over ten million people without power, some of them for weeks. The list above is only a fraction of the power outages that have been experienced over the last couple of decades, and experts are warning about a frightening increase in non-disaster-related outages. Significant power outages have risen from 76 in 2007 to 307 in 2011. One of the largest threats we face is an old failing electric grid that still relies on 1960s and 70s era technology to power a vast majority of the country. The electrical grid in the United States is made up of a patchwork of interconnected power generation plants, transmission facilities, distribution facilities and over 400,000 miles of electric transmission lines, some of which dates back to the 1880s. According to an article at the Washington Post, U.S. electric customers are now paying 43 percent more to build and maintain local power grids than they did back in 2002. At the same time, the grid is also becoming less reliable, with blackouts now taking 20 percent longer to fix. It’s really not a secret; our power grid is incredibly vulnerable to attacks from terrorists, hackers and rogue nations. According to a report from the National Academy of Sciences, which was sponsored by the Department of Homeland Security, our power grid is incredibly vulnerable to an attack which could cause widespread blackouts for weeks, maybe even months. This is incredibly worrisome, especially when you consider that most Americans says they wouldn’t be able to survive for longer than 2 weeks without power. Last year, cyber security expert Eugene Kaspersky warned about the very real threat of crippling attacks against key infrastructure throughout the world. He said that the threat of cyber terrorism had reached a point that could spell “the end of the world as we know it”. An electromagnetic pulse (commonly referred to as an EMP) is a burst of electromagnetic radiation caused by the detonation of a nuclear device above the earth surface. In my opinion, this is one of the worst case scenarios that we can think of. If a terrorist group or rogue nation were able to detonate one, it could shut down the entire country’s power grid for years, possibly permanently. An EMP attack over the United States could literally put an end to the world as we know it in a matter of minutes. The damage caused by an EMP would be catastrophic. In a matter of minutes, everything our country depends on would come to a screeching halt. From ATM’s and banking systems to key infrastructure like power, water and gas utilities, you would immediately see failures across the board. Our way of life would change in the blink of an eye, and it would take years to even begin to repair the damage. In testimony late last year, Brandon Wales, director of the Department of Homeland Security’s (DHS) Infrastructure Threat and Risk Analysis Center, admitted that DHS is not adequately prepared to deal with an electromagnetic pulse (EMP) event or attack. Wales testified that the United States power grid is even more vulnerable to attack than it was only a few years ago, and that DHS had no real plans to deal with the possibility of an attack. The situation is pretty clear, and it’s pretty grim. We have severely neglected key infrastructure throughout the country. On top of that, our government is either ignoring, or is willfully negligent in protecting the county’s power grid from attack. This has left a large portion of our country, which has become incredibly dependent on these systems, extremely vulnerable if they fail. Spot on Sir!!! Time to get off the grid is now. Prepare to have at least 5 different ways to cook food without electric. Store firewood now. Buy a bicycle and extra tubes and tires. Buy 200 cigarette lighter, which also makes great barter items. And of course firearms and lots and lots of ammo. Rain barrels and various ways to purify water. Stock up on seeds for a garden, and plenty of hand tools, nails and Tarp. Your to go bag and INCH bag full of your supplies. Get your port a potty/lop ready with lot of toilet paper and shovels to bury the waste, or for your compost pile, raise chickens, and a few farm animals. Plenty of wild ferrel hogs out there for game. Stock up on a year supply of food, beans rice and canned foods. Practice your camping skills and have a good knife and a few axes. Get physically and mentally in shape and create your plan. Stay prepared and safe to survive and thrive. Good suggestions… it is a matter of time before this will happen. And where exactly does the money we dish out every month for utility services go? My family runs a food distribution service, and I can guarantee you, a large part of the money we take in is designated for repair, maintainance, and replacement of the equipment it takes to do the job. So what are these bozos doing with the money they bring in?? Alliant Energy in NW IA has put up 100’s of wind turbines in the last few years…the power gets piped to Cali? and the $ has payed for condo’s in Mexico…..
7 Sec restart time. Yes if you have fuel for the generator. Natural gas is controlled by, yep you guessed it electric control valves. Propane and gasoline yep pumping stations and the trucks engines for delivery, control by computers and they most likely will not work either. All public utilities in the US are regulated, that is, they are governed by commissions regarding what they can spend or make as profits. If the additional investment is made without accompanying increase in rates the return to shareholders is reduced. The reluctance is then threefold, the commission doesn’t want to authorize higher rates, the utility doesn’t want to impact shareholders and the shareholders are unwilling to give up income, many are pension and retirement plans that have to pay out returns to retirees. Call your commissioners and request they authorize higher rates to protect you from the EMP threat. Good article, but it made EMPs out to be a lot less nasty than they really are. An EMP, like the article said, is caused my a “high air burst” nuke detonation. These occur anywhere from 3-18 miles above the ground (sorry i dont remember the kilometers off hand) and are basically like a giant electrical surge. The reason these are really nasty is theres only one thing to protect your electronics, and thats a faraday cage. Zero holes in the insulation is required because of the unpredictable path that the electrons take. As far as equipment they fry its pretty much everything save for like a few curcuits. Anything with a microchip is going to fry like its cool. What about Coronal Mass Ejection (CME) associated with solar flares? These events occurred long before a nuclear related atmospheric EMP was even invented and cannot be preempted by any DHS or other alphabet-soup-gang plan against attack or terrorism. Some people believe that any EMP damage can be easily repaired within reasonable time, while others, myself included, believe that the technology is there to repair quickly, but the structure to engage these repairs will also be impacted by the EMP making the task exponentially more difficult to accomplish. As ardentwolf points out, the way to protect equipment is by utilizing a Faraday Cage, and I do not mean a simple wooden framed box with a grounded sheet of metallic screen that stops a portable radio from being heard once placed inside. 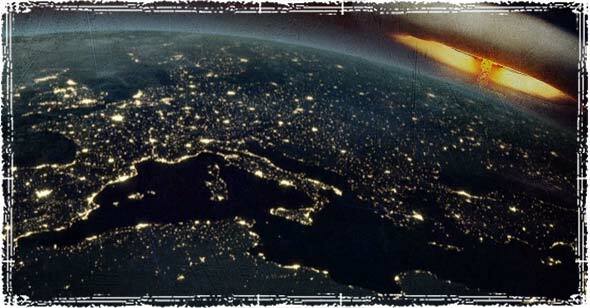 The effects of an EMP will be much more devastating than blocking out some AM or FM frequency. We are talking about protecting from extremes seen in the 3-30 kHz range of the Very Low Frequency (VLF) to the 30-300GHz range of the Extremely High Frequency (EHF), and with solar emissions, perhaps even outside these known ranges. There have been many discussions and thoughts around the effectiveness and implementation of Faraday Cages and I will not go into those kinds of details here. Short and simple… any reliable Faraday Cage of today’s standards is better than no protection at all. There are many different things that can take down the network infrastructure of our sad sad grid. Earthquakes, floods, fires, tornados, emp, some drunk hitting the right power pole etc. the point is people in general should act proactively for their own security and safety and easy transition to life without power or minimal power. Faraday cages are nice for the rouge agency/govt. caused emp. However most people don’t know how to make one or want to invest huge sums of money to buy one. Relax dear ones theres a simple fix for this dilemma. Go to your local goodwill or thrift store and pick up the biggest microwave you can find, they are never more than a few bucks. Leave it unplugged in a closet or other convenient location and should the need arise most of your smaller gadgets and such will fit nicely inside and thus be protected. for a grid failure other than emp solar or wind setups are relatively inexpensive and coupled with the right sized inverter will run almost any household device with ease. Spare batteries can be purchased at any battery recycler for pennies on the dollar and added to your battery bank to increase voltage and/or storage capacity. basically thinking outside the box will take you quite a ways in any shtf scenario. A Faraday Cage should not be powered, but it should be properly grounded to an Earth Ground different from your house ground and not a water pipe. The Microwave is a great way to start cheap, just make some minor modifications to the housing and get it properly grounded. One of the biggest threats to the grid is the depleation of a skilled work force (read experience old geisers retiring) and the industries unwillingness to spend the money to train new operators in time to take their place. At least this was the case a few years ago when I was keeping up with it. I forgot to mention that deregulation is right up there too. 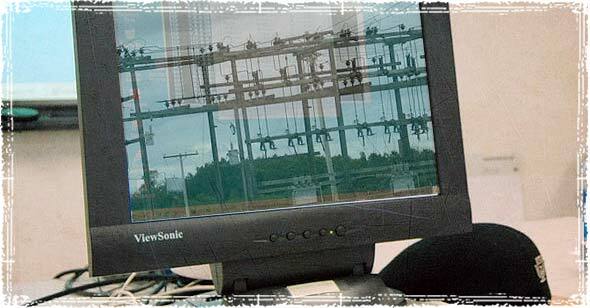 Grid operations is now focused on how to make money rather than reliability. Maintenance has become more reactionary and less peventitve/predict as a result. Does anyone have any reference material on how to harden my PV Solar Power systems against HEMP? I have spoken with a very nice lady who knows about Carrington-type and her opinion is that IF I am mechanically disconnected from the grid at the time of the CME, I should be OK. The problem with HEMP is the sequence of pulse and the waveform patterns involved. The first pulse will pretty much fry my lightning arrestors. The last pulse (which can last several seconds) will finish the job. Natural Gas is the BEST alternative energy source in the event of a National Power Grid Failure. Natural Gas does not stop when electricity does. I have my house ready for that….Non-electric Heating, Cooking, and Hot Water. All I need now is an NG powered electric generator. There is NO NEED FOR SURGE PROTECTION!!!! Tell that to the Obama Administration…..Drill baby Drill. Just stumbled on your site. I am a 66 year old widow. Have prepped food/water but am so unprepared otherwise. My house is natural gas and I have a wood stove. What can I do in 3 weeks to get ready for grid test.? What is an NGO generator and where can I get one ? I like the old microwave idea, can I put batteries in it to keep them safe ? I sure need help and feel so vulnerable. IS that true.. that NG keeps flowing even in the event of a grid shutdown? Eventually the pressure will run out on NG. Also you need something to push all that NG heat around in your home( a fan and such) NG is a perfect for 2-3 power outage but after that we are all in the same boat. Something everyone seems to forget is the damage the shutdown itself of the power grid through EMP would create. The total loss of the ability of the power plant to operate also means the nuclear plants would lose their ability to reinsert the nuclear fuel rods into their shut down positions. I.E. the rods would be exposed and continue heating up through the fission process without the ability to cool… China Syndrome, T.M.I., Chernobyl, Fucashima; whatever you want to use as the example, the meltdown would release much hazardous radioactivity into the upper atmosphere as well as the ground water table. A full scale EMP attack in several regional areas at once would create such a total catastrophe no area of this country would be safe from its effects.